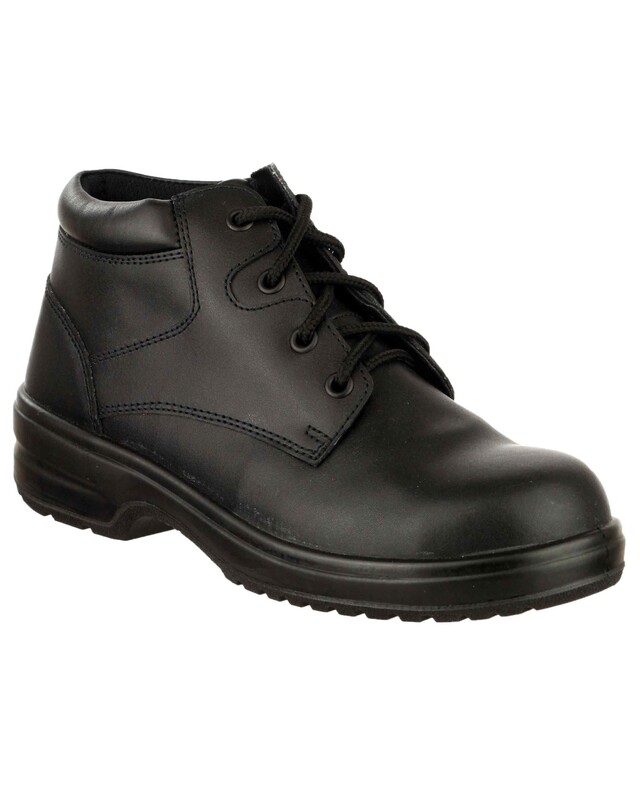 Amblers Safety FS130C is constructed from smooth action leather upper and has a composite toecap and midsole. The PU sole is slip resistant and antistatic and the heel is energy absorbing. All components are non metallic.